The Peloponnesian War broke out in 431 B.C. and continued intermittently for 27 years. It pitted the all-powerful land force of Sparta and its allies against the supremely powerful naval force of Athens. Thucydides actually participated in this conflict, a war that he realized would have a greater influence on the history of Greece than any other. 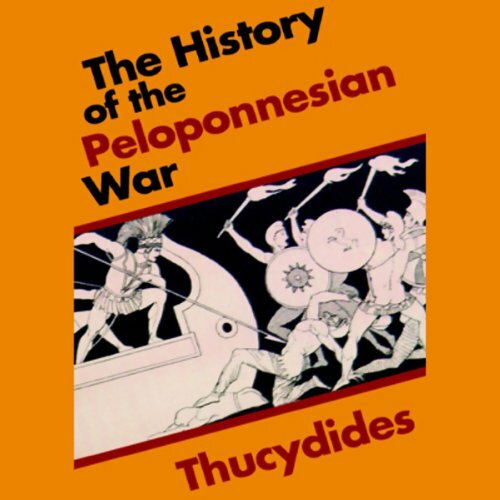 The History of the Peloponnesian War is true to its title; it is a story of battles and sieges, of alliances hastily made and soon broken, and, most importantly, of the behavior of people as the war dragged on and on - of the inevitable "corrosion of the human spirit". Thucydides, whose passionate desire to record the truth is clearly apparent, vividly narrates exciting episodes and carefully describes tactical aspects of the war. He also provides illuminating character profiles. Few will argue that Thucydides was not the greatest and most exciting historian of antiquity.